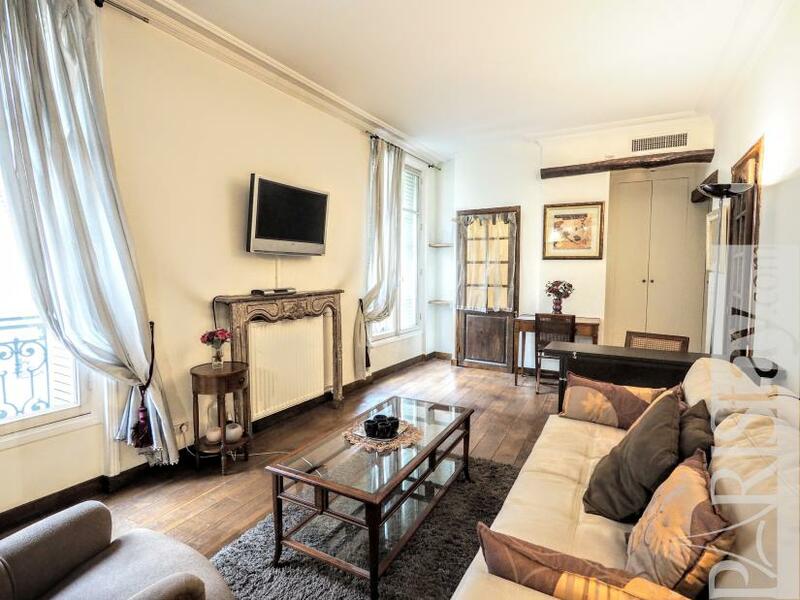 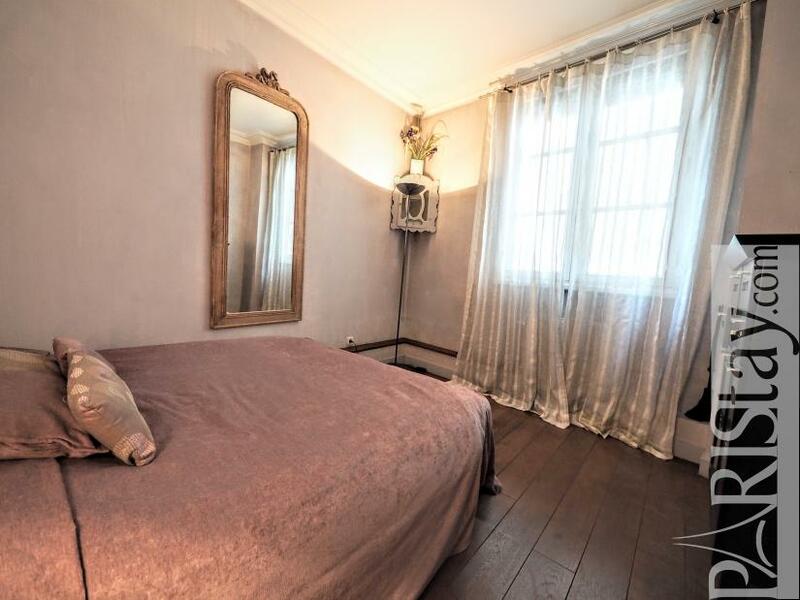 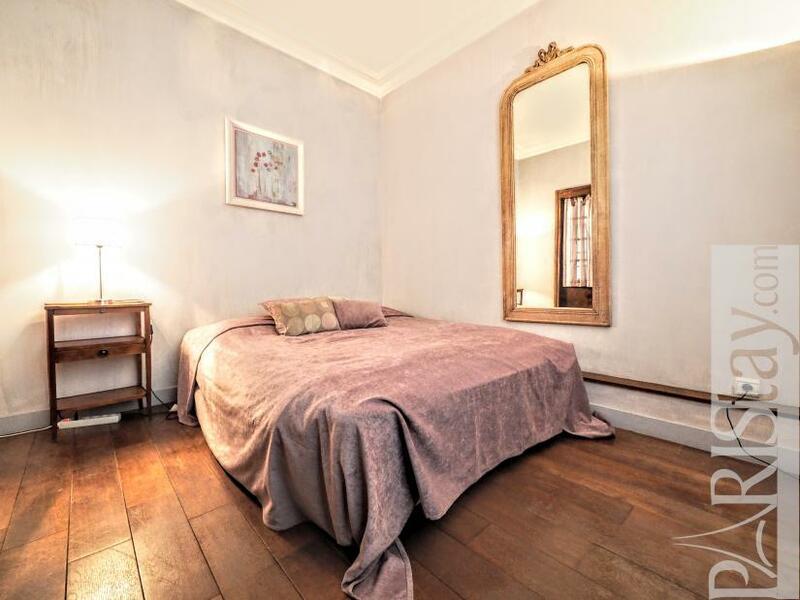 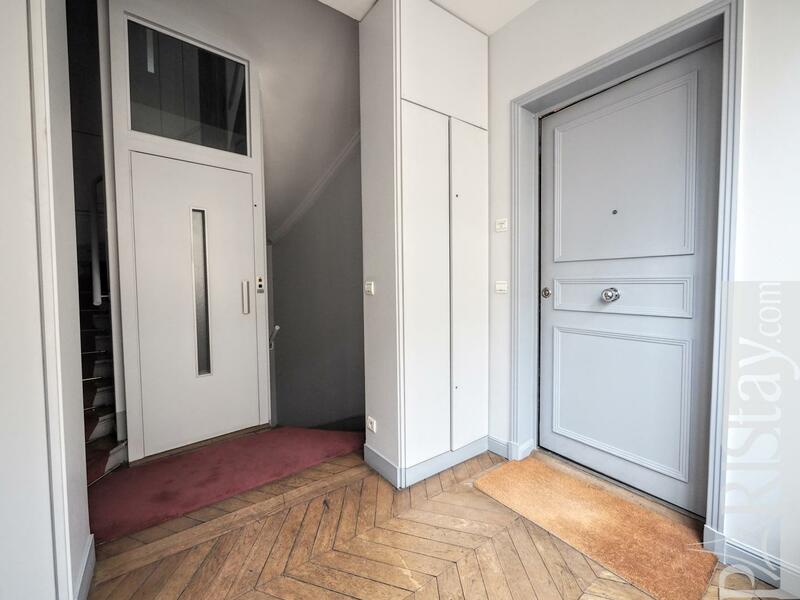 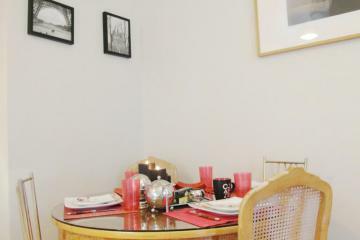 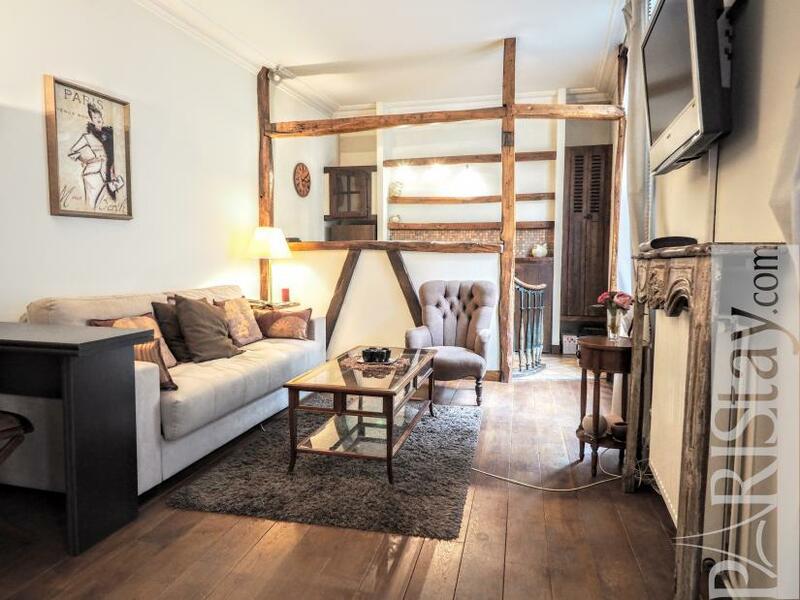 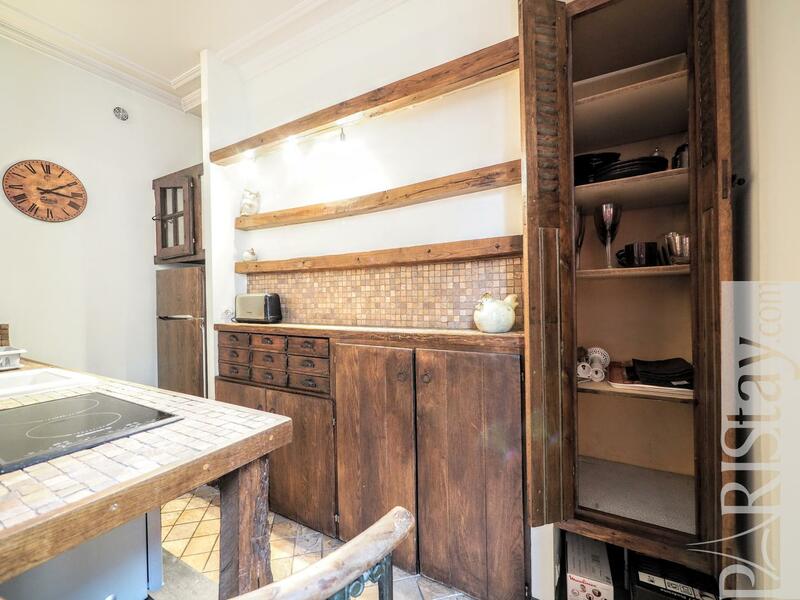 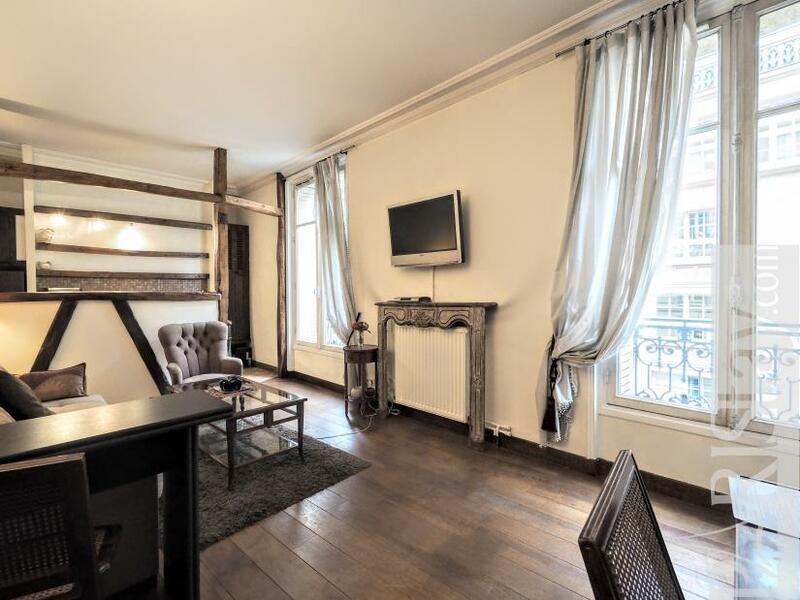 Paris One bedroom apartment rental perfectly located in the elegant 8th arrondissement close to Madeleine and Grands Magasins. 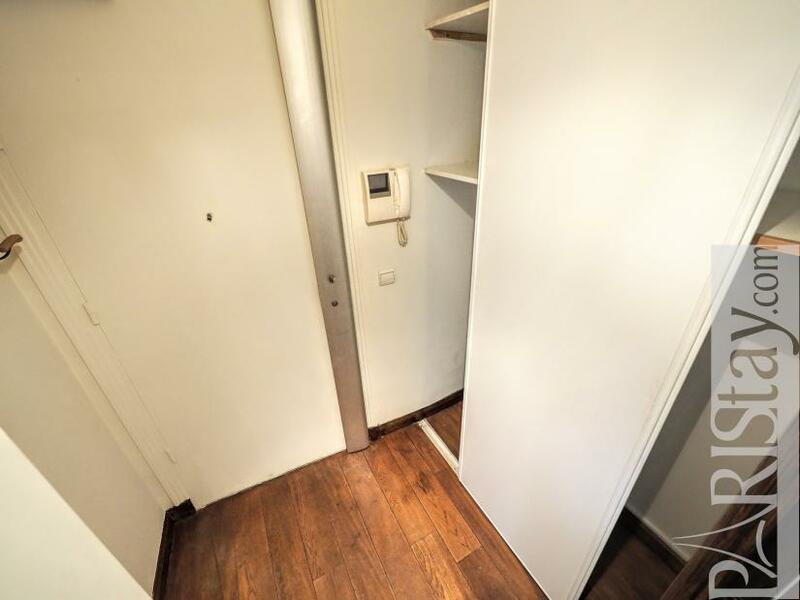 It is situated on the 3rd floor with lift of a renovated building. 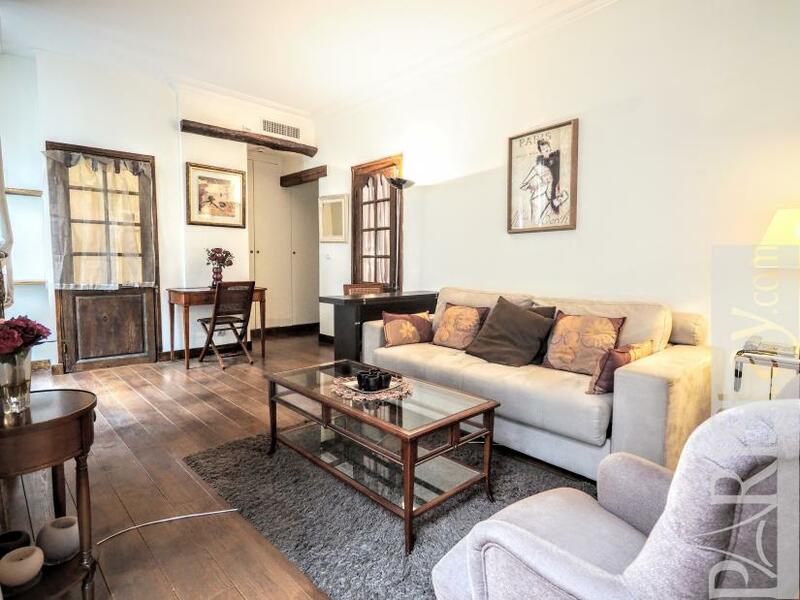 This apartment offers romantic decoration details with wooden doors, rich fabrics. 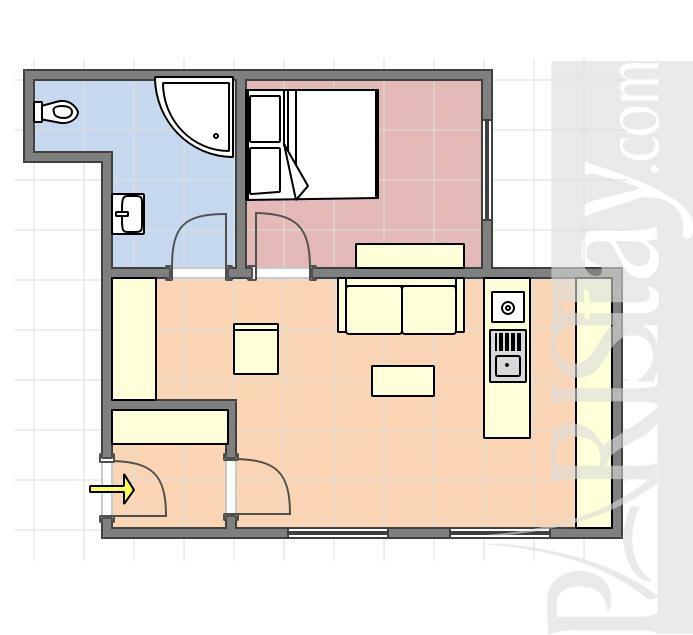 An entrance with a large closet leads to a spacious and bright living room with 2 large windows on a quiet street. 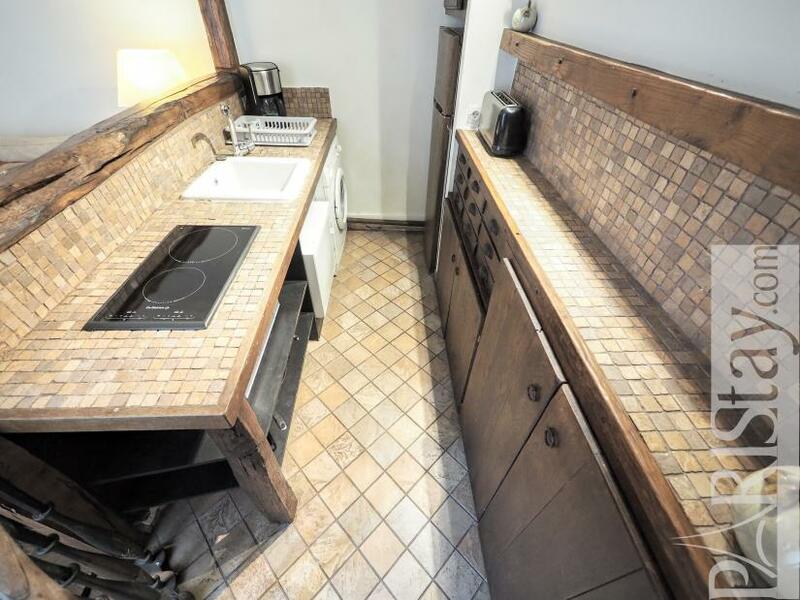 Nice well equipped kitchen area. 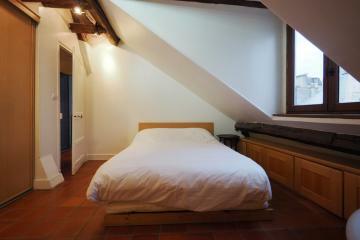 Cosy bedroom with a double bed and a window on courtyard. 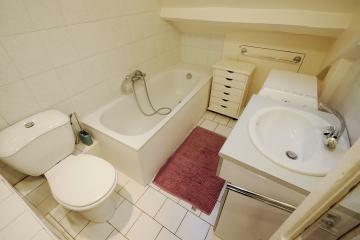 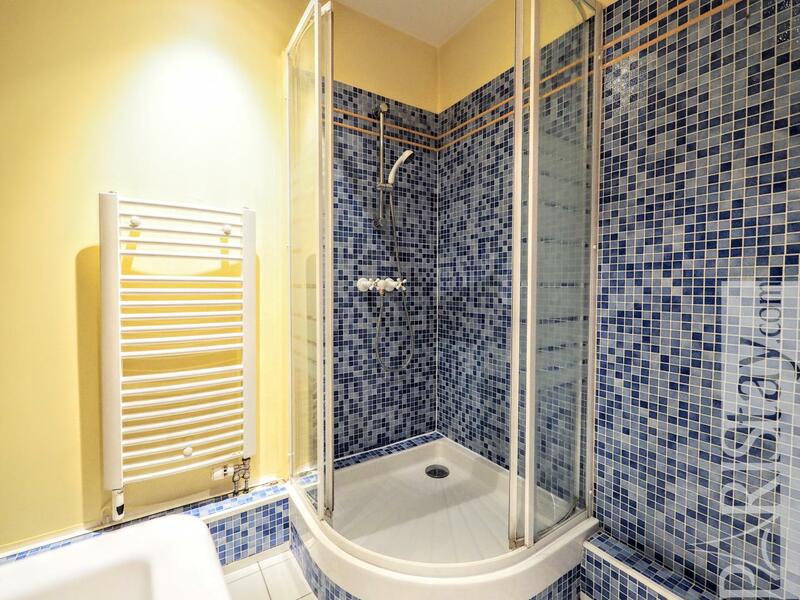 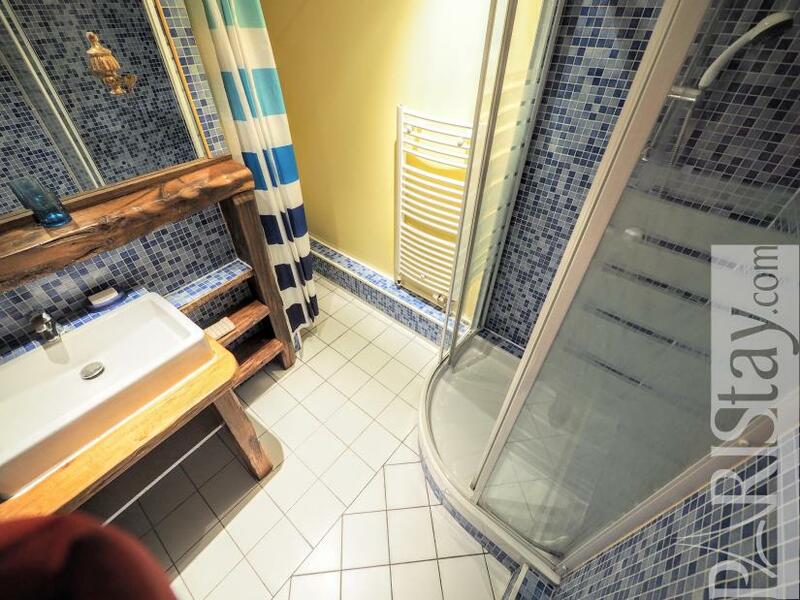 Large bathroom with corner shower. 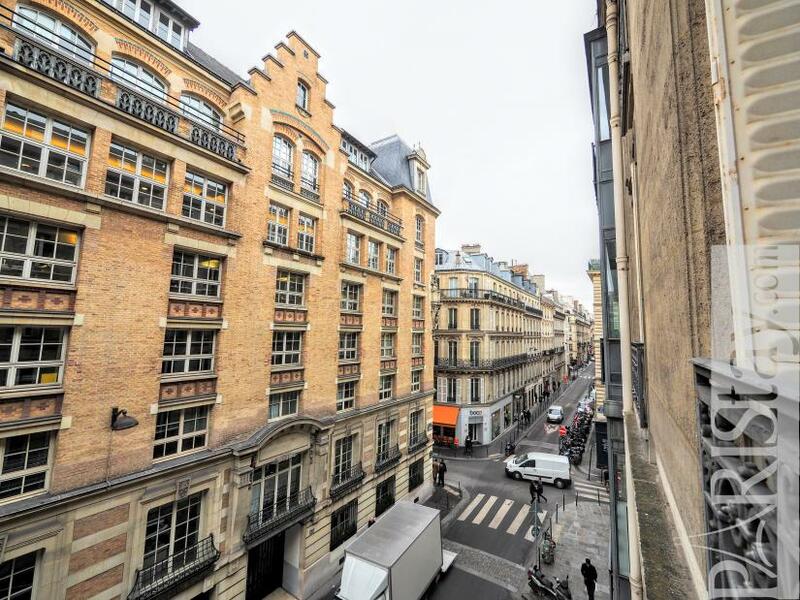 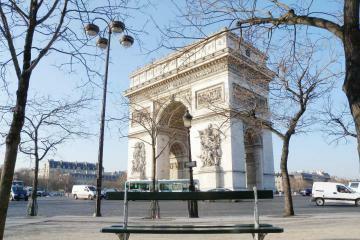 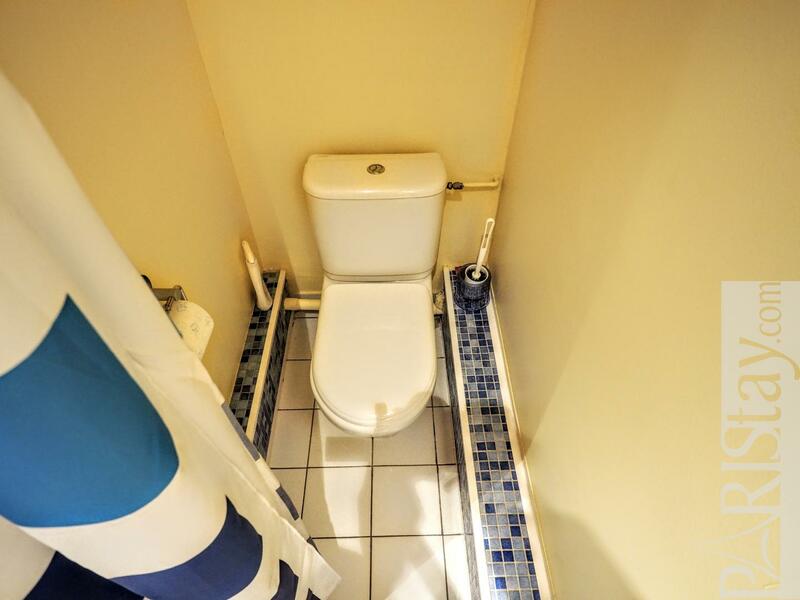 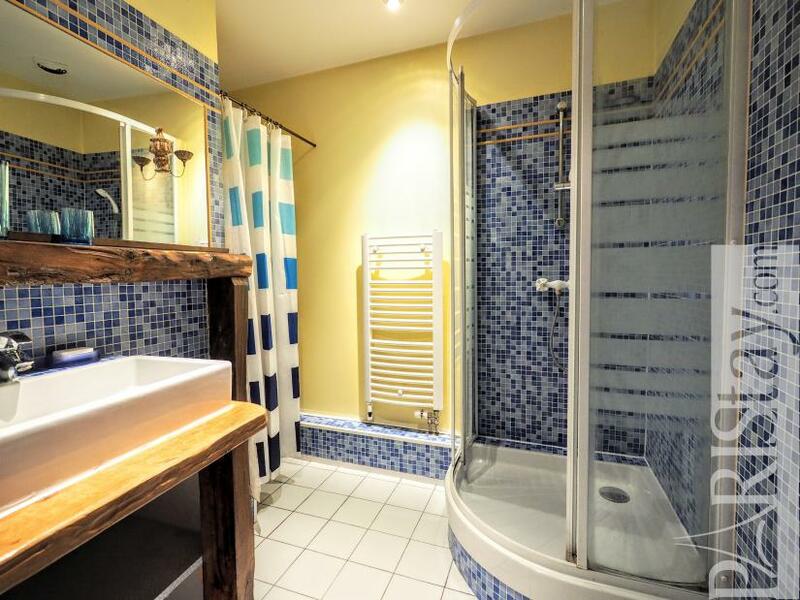 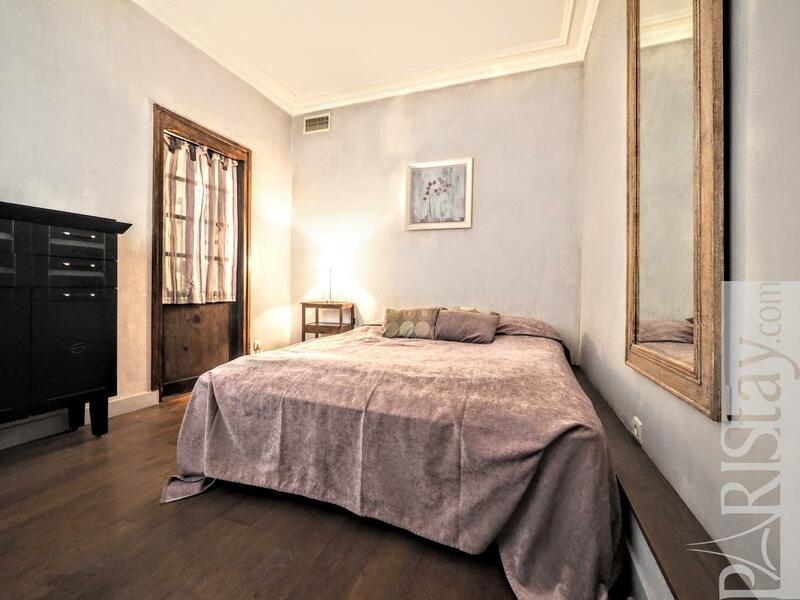 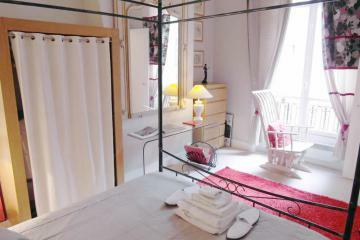 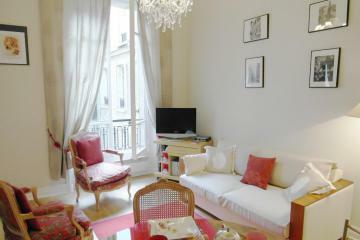 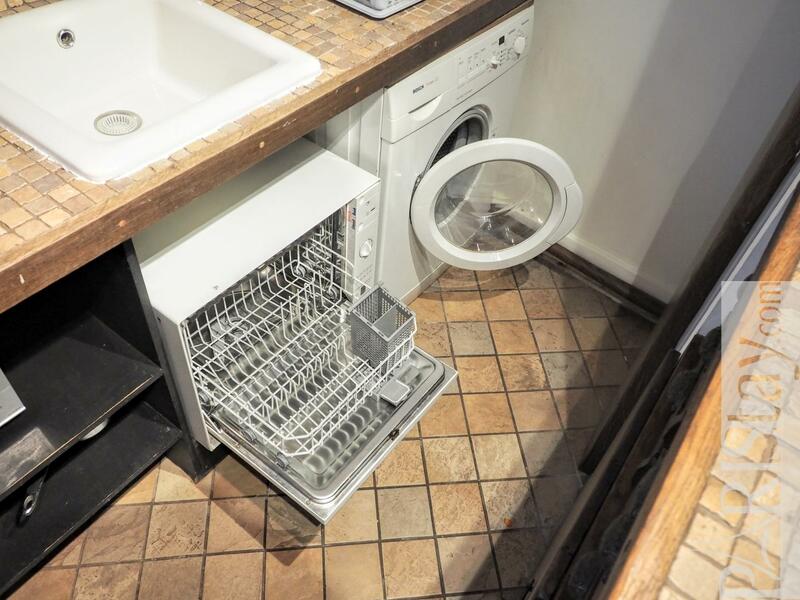 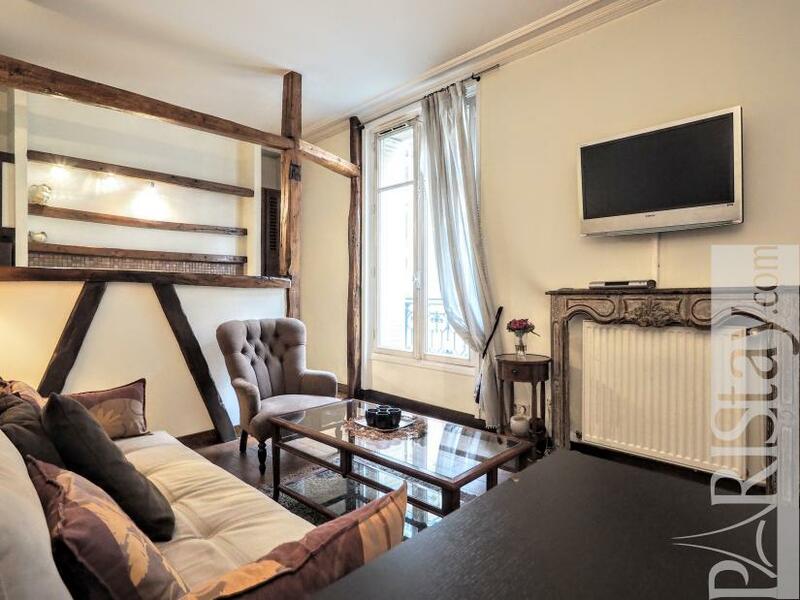 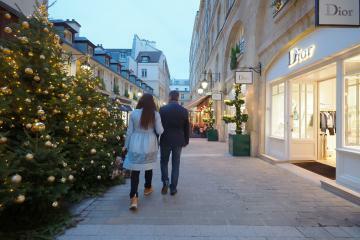 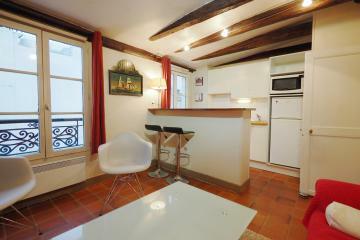 Perfect for a long stay rental in Paris! 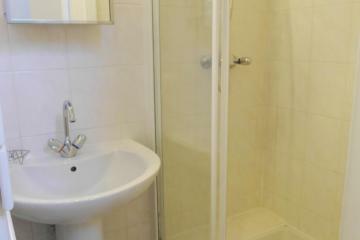 Please note Heating, Hot water, Internet/TV/Telephone are included in the rent and electricity/AC system is excluded. 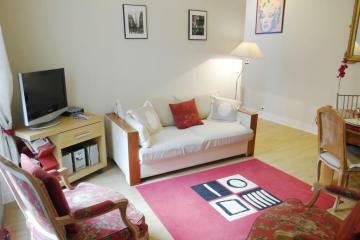 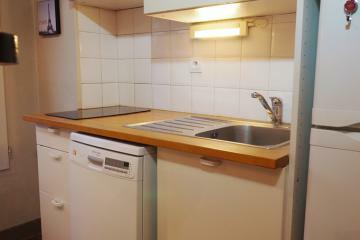 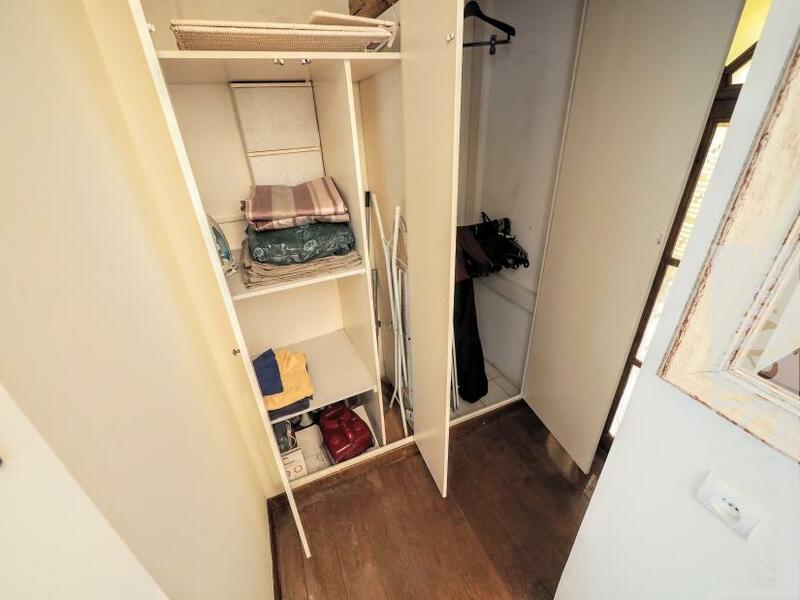 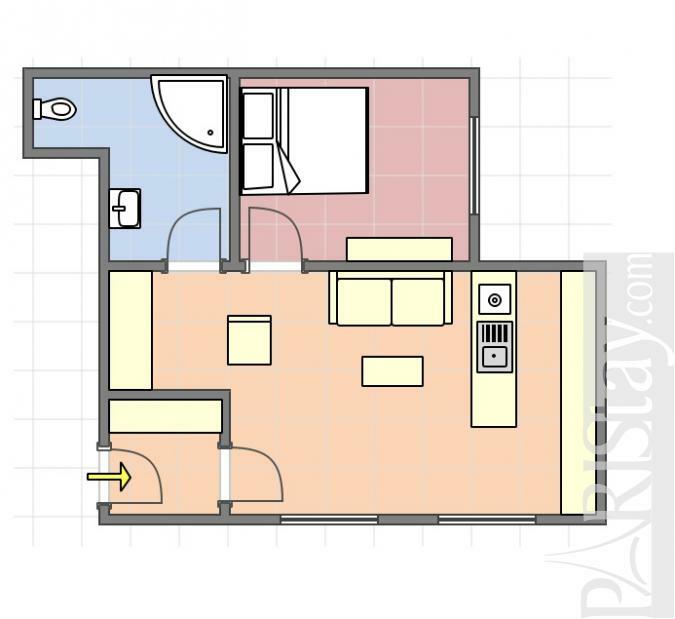 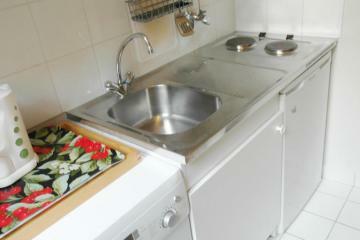 3 th floor, with Lift, 1 bedroom , furnished, Approx: 43m² / 462 Sq.Ft.